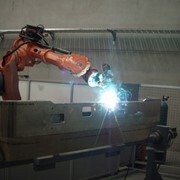 Advances in the development of specialist tools for automatic removal of burrs and sharp edges means that robots can easily and efficiently conduct this previously manual, dirty and tedious task. The ATI range of radially compliant deburring tools known as Flexdeburr™ are a robust, high speed light weight air driven turbine deburring unit for deburring aluminum, plastic, steel, etc with a robot or CNC machine. 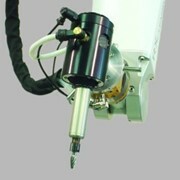 Deburring tools, as air- or electrically-driven, offer compliance and a way to mount a robot wrist. 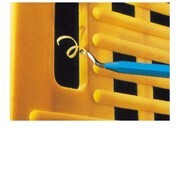 Deburring tools can also be mounted to a bench or fixture with parts brought directly to the unit to be deburred. Removing burrs from castings and machined components has long been a process requiring a person to apply a suitable tool, or tools, along the line of the burr or sharp edge. 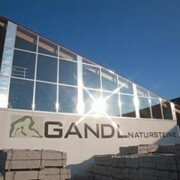 Tools such as files, scrapers, grinders and brushes are commonly used and the operation is costly, repetitive, tiring and subject to high variations in quality. 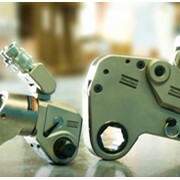 Earlier attempts to robotize this process have been largely unsuccessful due to the variations in workpieces (castings etc) that resulted in uneven finishing. 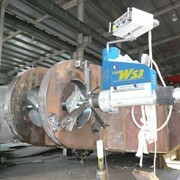 A rigid tool following a set robot program will often leave the workpiece with deep gouges, or worse still, areas where the tool did not remove any material. 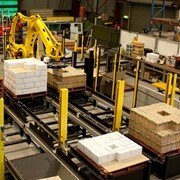 The advent of specialist automatic deburring tools with built-in compliance, means that this inefficient manual task can now be fully robotized. 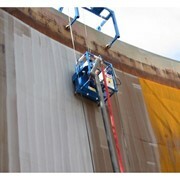 These tools are available with either radial or axial compliance. For instance, the Flexdeburr from ATI- Industrial Automation is a robust, high-speed and light weight air-turbine driven deburring unit with radial compliance for deburring aluminium, plastic and metal parts etc. It is especially suited to robotic deburring of parting lines and removing flash from castings as constant force on the burr also solves problems associated with chattering. Flexdeburr’s pneumatically controlled, articulated design allows the cutting bit to follow the part profile and compensate for surface irregularities thus allowing high feed rates with uniform quality in any orientation. 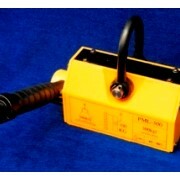 The unit also requires no oil which allows clean exhaust air to be vented directly into the work environment. 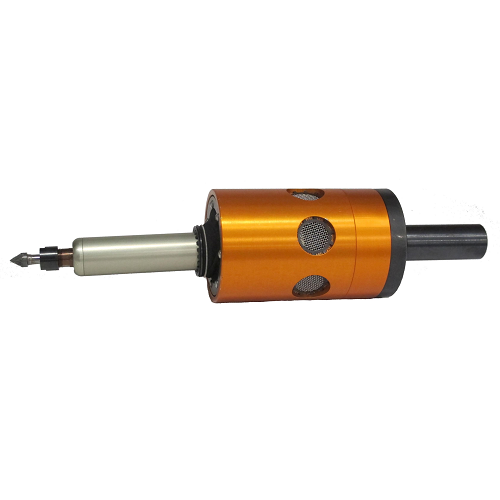 The Flexdeburr also uses standard industrial tungsten carbide bits, is available in 30,000, 40,000 and 65,000 rpm models with power from 150 to 340 Watts. Several Flexdeburr models are available for robotic applications ranging from light to medium/heavy duty deburring and a special version is offered for use in CNC machining centres. 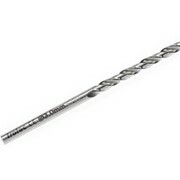 For edge deburring and chamfering applications where axial compliance is required, ATI has two solutions. Speedeburr is a range of tools with a floating piston which allows the cutting bit to ride on a cushion of air to provide compliance and maintain consistently deburred parts. 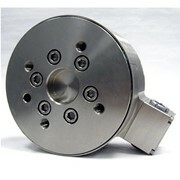 Speedeburr can also produce consistent 45 degree chamfers where required. With air-driven compliant deburring tools, problems associated with chamfer inconsistencies due to part tolerances and chatter are eliminated. VersaFinish is a robust, low speed, high torque air tool with an axially floating spindle, suitable for a multitude of robotic and automated material finishing operations on aluminium, plastic and steel. 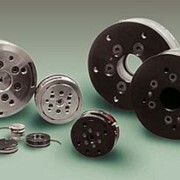 The rotating spindle is equipped with a 3/8” chuck for holding customer supplied tools. These may include, but are not limited to, abrasive brushes, wire brushes, sanding discs, polishing points and chamfering tools. 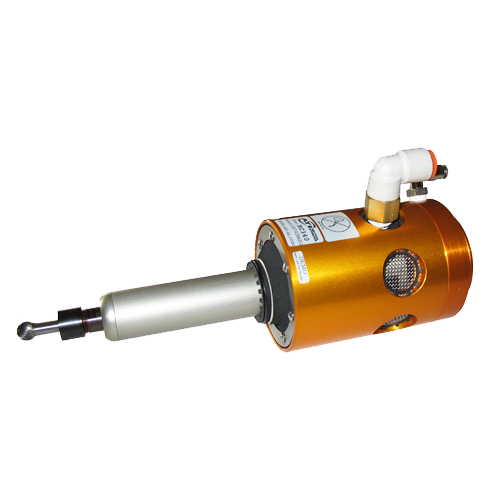 An adjustable air supply controls the contact force allowing the spindle to respond axially to changes in part profile and provides very high stiffness in the path direction, with low stiffness in the contact force direction. 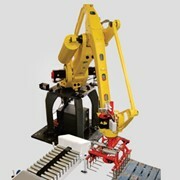 For applications where multiple tools are needed to complete the deburring process, ATI also offers an automatic robotic tool change system. 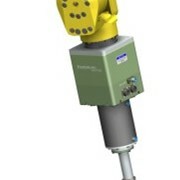 Apart from the various deburring tools, the tool change system can also accommodate grippers for handling the workpiece into and out of the robot cell. 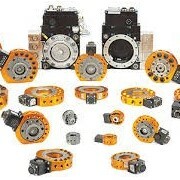 Romheld Australia distributes ATI products, along with a complete range of robot finishing systems, grippers and end-of-arm tooling.